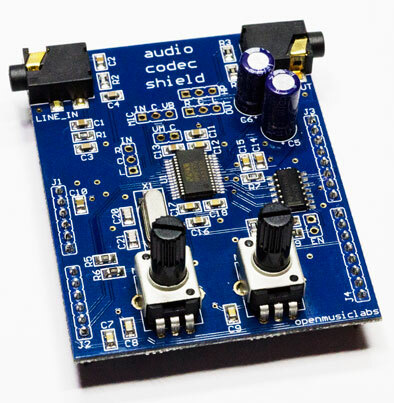 We have dropped the price of the Codec Shield down to 29$, so if it fits your bill, swing on by synthcube and pick one up! Say WHAT??!!? Everyone loves analog, right? Too bad analog oscillators tend to drift with temperature. But exactly how much, and why, and what can be done about it? We recently finished an in-depth analysis of the main culprit in these circuits: the exponential converter. This is the part that converts the input voltage to octaves at the output. If you’re interested in finding out more about these circuits, and how to keep them stable, the following paper could be for you! It has a bit of math in it, but it’s written to be accessable as possible. It’s also not completely finished, but what project ever is? Knowledge just keeps expanding, leaving the world feeling smaller and smaller each day.